Yesterday I was given the opportunity to speak with the local CBS affiliate, WFSB regarding service dogs and their rights to access. I feel the interview went exceptionally well. Kim Lucey, and the Cameraman (I’m sorry, I forgot your name) are genuinely good people. I enjoyed our conversations and they made an event that could have been stressful, comfortable. Thank You. I understand that this was presented on the evening news and in my opinion, that means the story will be sensationalized to an extent. I am willing to concede in favor of awareness. There are some points that I want to make a clear statement on for our readers that could not be conveyed in the short window of time they were given to air the clip. We have no negative feelings toward our friends at Mystical Elements. They have a wonderful shop and handled the event in the best way they knew in the moment. You can read about it extensively in the related posts, here and here. Apologies have been extended, and received on both sides. I can foresee a time in the future where we visit again perhaps and I am sure it will be a comfortable experience for all. 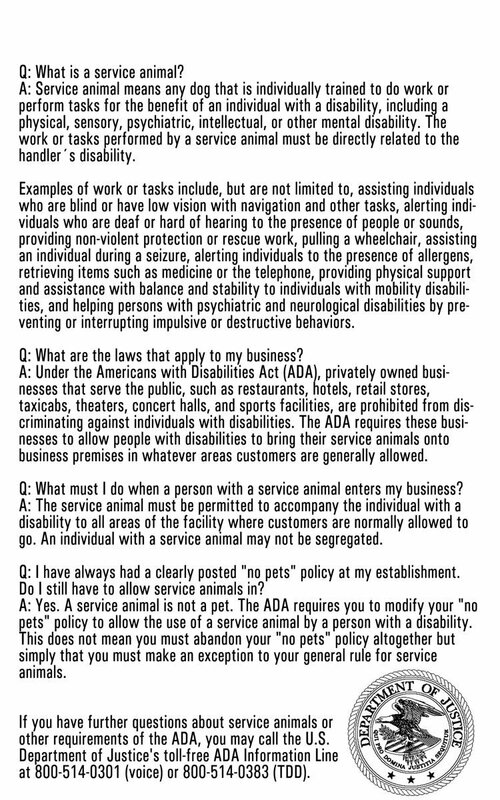 Just like I am new to being a handler of a service dog, there are people who are new to encountering service teams, and I am doing my best to be an ambassador. In no way do I feel like I have a great deal of information or experience to offer with regard to being a handler, but I do feel we can offer a perspective that may be unique in order to help others. There are simple things that you can do to help us be more successful as a team. When you see a service team, and you’d like to meet, please be respectful. 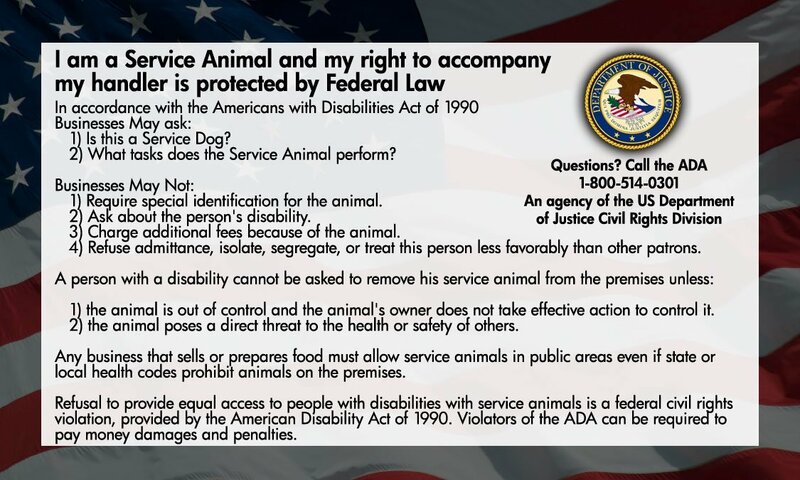 – Never, and I mean NEVER call to a service dog in any way, even if you know us and I have given you permission to pet in the past. I know you are well meaning, however, you likely don’t know when I need him. The moment you call a service dog, especially by name, is that moment his focus is not on his work. This goes for the fly-by pet as well. DON’T DO IT. It’s distracting to dog, and by extension at the very least annoying to me. – Always greet the handler and not the dog. This is distracting and, quite frankly, rather rude. – If you have questions relating to the dog please ask, but ask me and not the people I may be with. We will work everyone into the conversation I promise. My family will talk your ear off given the opportunity and time. You can even ask me about my disability, I’m happy to talk about it. This does not extend to the rest of the disabled community as some of us are more sensitive than others, or just more private people. Be kind. – DO NOT assume that now is the perfect time to pet a dog. A service team is usually out in public because they have something specific to do, and may or may not have the extra time in their day to give you at that moment. My family and I love animals and people alike. This means we will take every opportunity to meet, but please don’t be offended if we cannot. If you see us another time, ask and we will allow it if the conditions are appropriate. Working with a service dog has changed my perspective a bit on greetings. Especially meeting a dog and their handler, such as me, often now also means a dog to dog greeting as well. This can be tricky especially with different breeds and sizes. Casper is super friendly, but he is also super exuberant and is not aware he is a big breed and has a lot of puppy in him. With a smaller breed many have an easier time guessing the approximate age of a dog and provide the benefit of doubt with regard to playful nature that a large breed does not get. This is especially negated when that dog has a service vest on. Remember, he may be big, he may have a service vest on, but he is still a dog and still likes to play, given the opportunity. If you see us and you have your dog with you be aware of the responsibility we have as care givers to our non-human family. Please don’t assume that dogs will not greet given the chance; they will. This could have several outcomes that we may not account for in the moment, the very least could be me being pulled to the ground while dealing with the situation at hand. My family and I want to take the opportunity to thank everyone: from Mystical Elements, Channel 3 news, the Camera Peeps, and all of our supporters who read the blog and follow Casper on Facebook.